“Do What Scares You.” Maybe that very phrase is scary to you. The pathway to liberation – to being comfortable in your own skin, liking yourself, and enjoying friendships and dating – is NOT avoiding the things that make you embarrassed. This might seem obvious, but most men with shyness that I work with are operating as if avoiding will somehow get them what they want. Let’s take an example. If you’re single and hoping to date women or to create an exciting, passionate relationship with a compelling woman, and you do not talk to women, how likely is it that you’ll get what you want? Most likely zero. When I was in this situation, I would do what many men do, I would hold on to some hope, dream, or fantasy. Well, maybe a beautiful woman will move in the apartment next door to me, and then she’ll knock on my door and introduce herself. As absurd as this is, most men who are living a life of avoidance are on some level hoping that something like this will happen to them. Does this resonate with you? The first step to breaking free is to acknowledge that nothing will get better if you don’t take action to make it better. In the world of clinical psychology, this is referred to as exposure therapy. It’s what you’d do if you had a snake phobia and wanted to be more comfortable walking around your property (which might have snakes on it). You systematically expose yourself to being near snakes until you’re no longer frightened of them. In the case of social anxiety, we’re not afraid of all social interactions, we’re afraid of the disapproval of others. We don’t want others to judge us as strange or weird or in someway unlikeable. Hence the fear of embarrassment (the feeling that we’re awkward and other people are judging us a stupid or foolish). The key to overcoming social anxiety is to systematically expose yourself to situations in which you feel embarrassment. This is an unpleasant prospect for most shy guys, and where I lose a lot of people. Isn’t there a better, easier way? Unfortunately not. The only way out of our fears is through them. We must expose ourselves to situations that make us feel embarrassed or awkward again and again and again and again, and eventually we start to feel less embarrassed. Our comfort zone expands. I call this intentional exposure embarrassment inoculation. It might make you a little sick at first, but over time it makes you stronger and more resilient. One simple way to get started is to pick a small social interaction that might cause you to feel slightly embarrassed. Pick something that is minor and not likely to cause you to feel too much fear. The key is to do something that is just outside of your comfort zone. Don’t do anything that’s socially aggressive or likely to get you into trouble with the authorities. Ask a stranger what time it is. Ask a stranger if they know a good restaurant to eat at. Ask a stranger if you can have $100. Buy an item at a store and then return it the next day. Ask a store clerk at a drug store where the condoms are. You can be as creative as you want to be with this type of exercise. Use your own embarrassment as a guide, and keep choosing things that are just outside of your comfort zone, and do them repeatedly until they no longer make you feel uncomfortable. Sometimes this can take 50-100 repetitions. 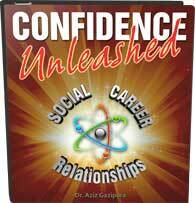 To go way deeper into embarrassment inoculation, and to learn more about how to create a systematic approach to overcome shyness and social anxiety, I highly recommend you check out Confidence Unleashed. 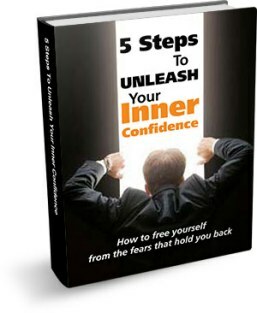 It will teach you exactly what you need to know to liberate yourself from shyness and the fear of disapproval, which will help you in dating, relationships, friendships, and at work.